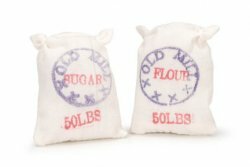 Choose either flour or sugar sack. Approx. 2 1/4" high.